the conditions of high tension. No.7 is 3.3cm-The No.8 is 3.5cm. 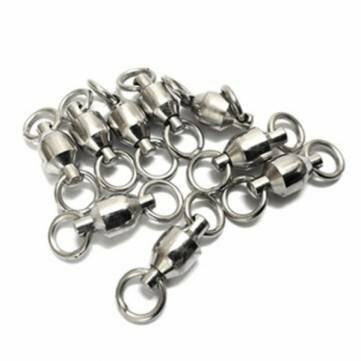 The Bearing Swivel has corrosion-resistant stainless steel construction-may coordinate the binding wire group.unique design-replacement annex faster- special handling makes it more beautiful- more strength- and does not injury the line!